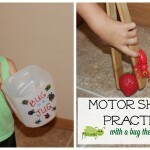 Don’t you love a simple activity that keeps kids busy for hours? 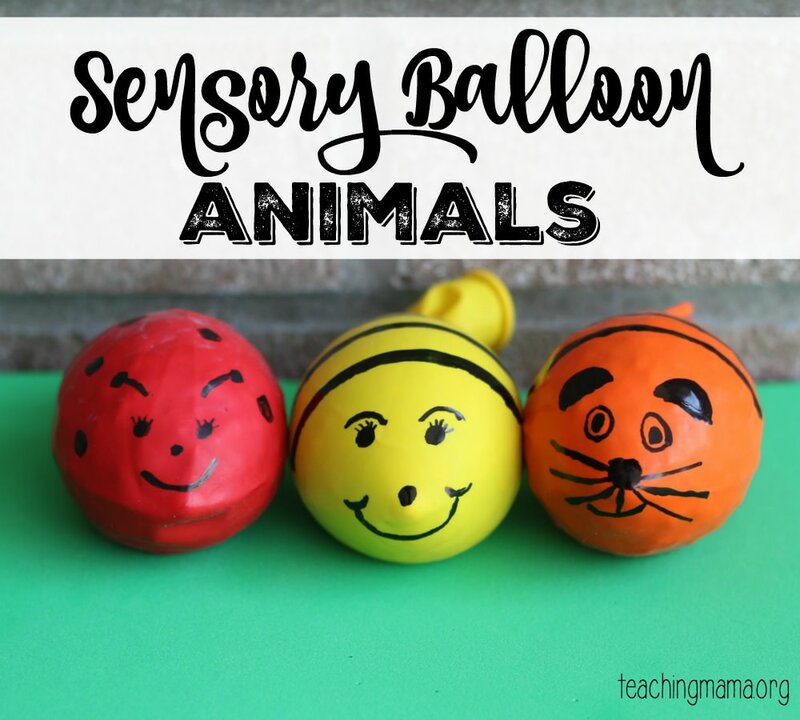 Well these sensory balloon animals are perfect for keeping little ones busy. 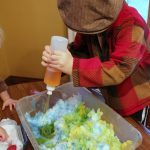 A sensory balloon is filled with material that kids can squish around and it’s really a great way for children to explore the sense of touch. These little critters are so much fun to squish around. 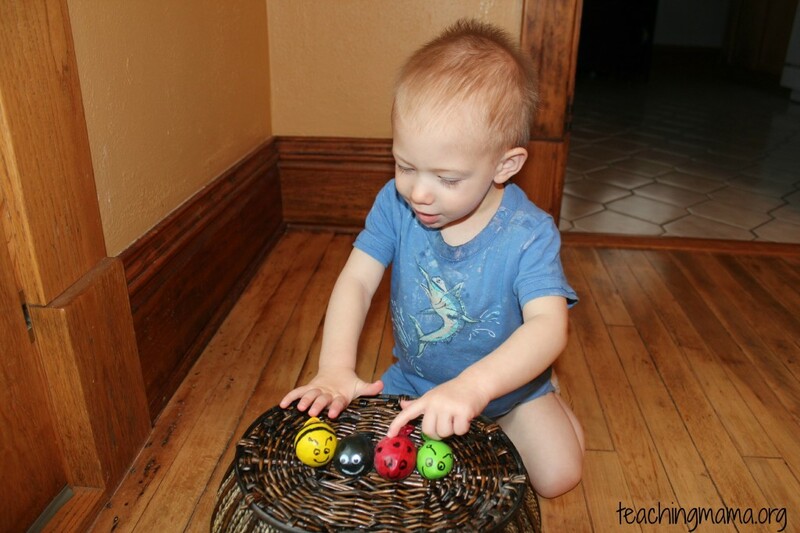 Not only is this a sensory activity, it’s also great for building up fine motor skills. When the kids squeeze the balloon animals, they build up hand strength. Here’s what I used to fill the balloons: rice, beans, and popcorn kernels. To fill the balloons, you’ll need a funnel. 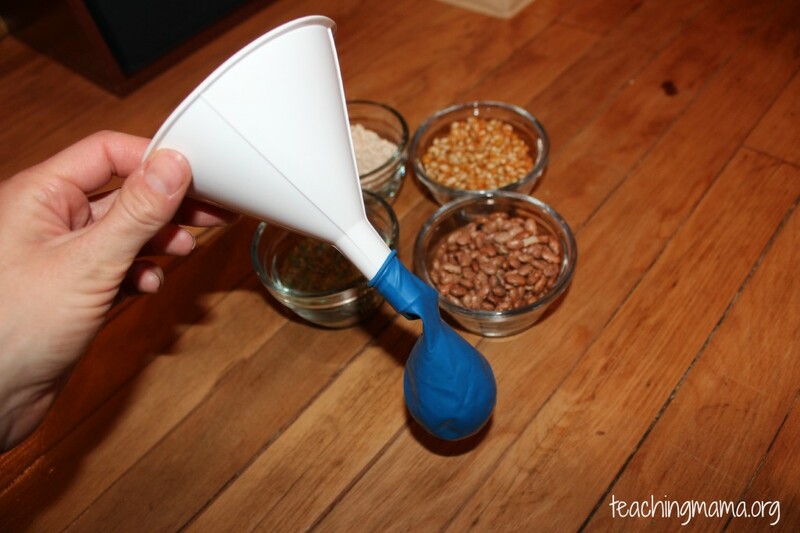 Just attach the balloon to the end of the funnel and pour the material in. For bigger things (like beans), you may need to shake it to keep the funnel from getting clogged. After you fill the balloon, tie it. Then you can draw eyes, antennas, legs, etc. to make them into bugs or animals. I used a black Sharpie to draw on the balloon. I admit…I’m not the best artist, but my toddler will never know! :). Something else I did was have my older son feel the balloons and try to guess what I filled them with. He got some right and some wrong, but it was good for him to practice using his sense of touch. 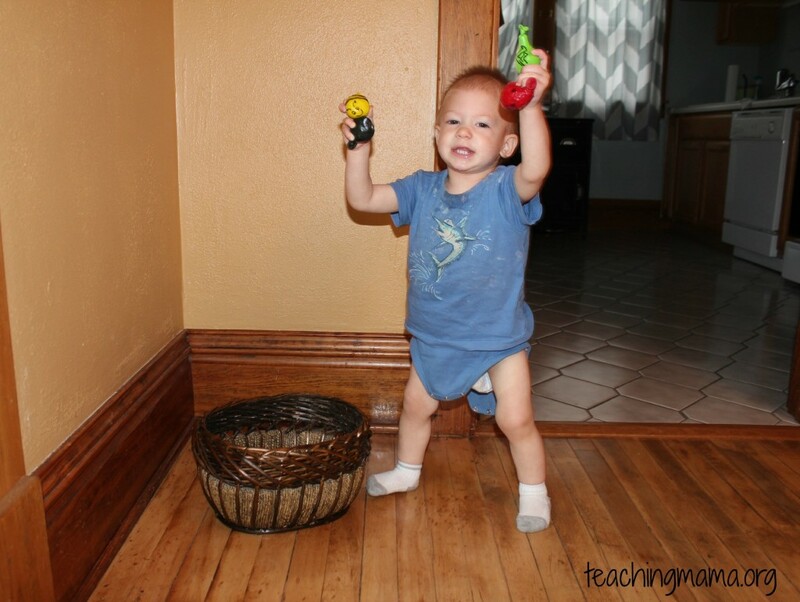 I love these little sensory balloons! We also filled one with sugar, which really felt like a stress ball! 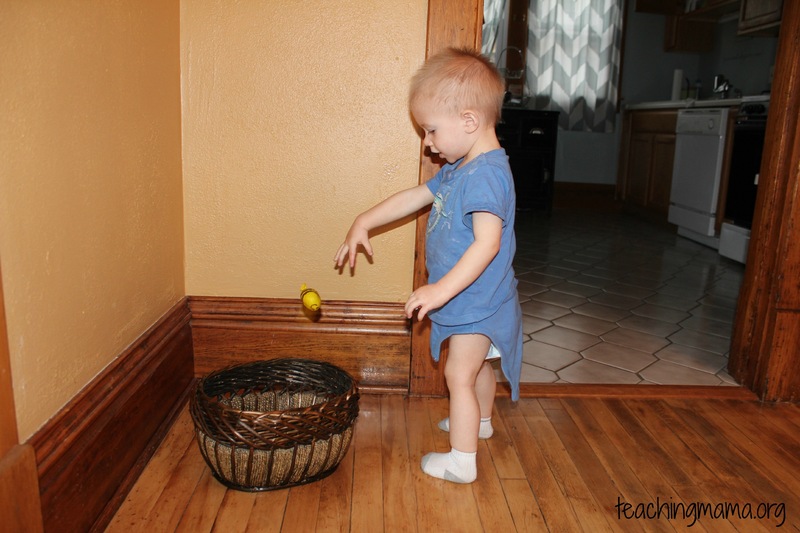 My little toddler loved this activity. He couldn’t wait to get his hands on these little guys! Will you try this activity out? 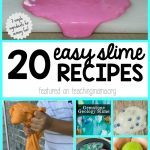 I guarantee your toddler (or any child) will love it!! Looks fun! How old is your son? Mine calls all bugs bee, although he knows there are different ones.;-). He would love the throwing game! Hi Juliana! My son is 20 months. I think he’s a bit advanced to know the names. I don’t know if it’s because we read a lot of books and he hears his older brother talk about different bugs! 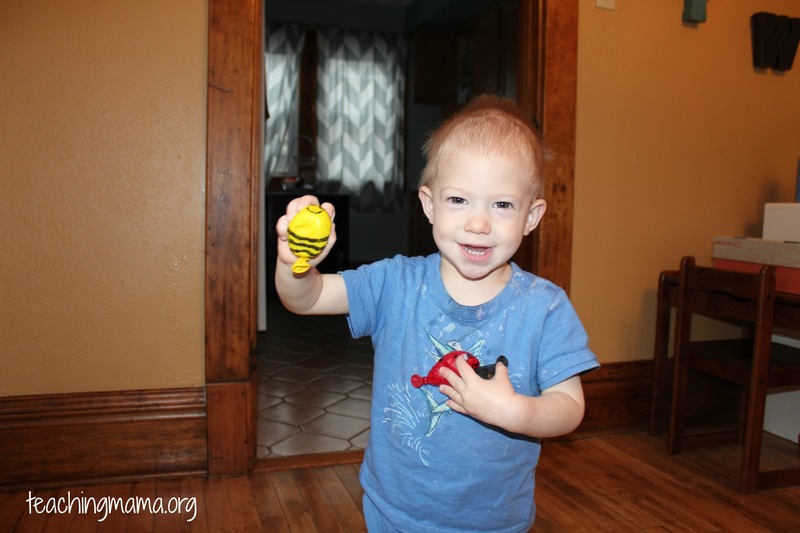 My first son called every bug a bee, too!! Yes, the throwing game was a hit!! These are so cute. 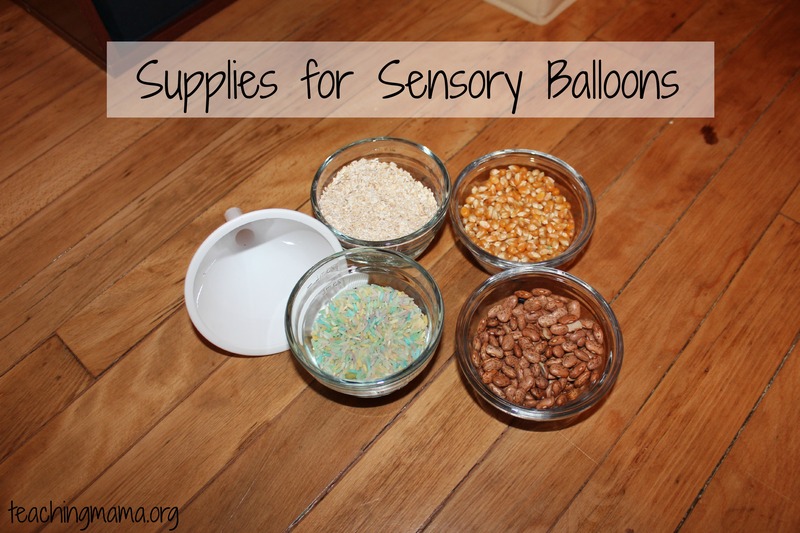 I have made sensory balloons before and they were a huge hit at first, but now they are boring to both of my kids. I think decorating them like bugs will be just the thing I need to make them exciting again. I can’t wait to try these! Thanks!! They were a huge hit at our house! 🙂 Hope your kiddos will like them! These are so, so fun! 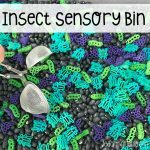 I’ve done sensory balloons before with cornstarch, but I think I’m going to make some bugs right away to use as math manipulatives! Thanks for sharing!! Great!! I love hearing that. Hope they make good math manipulatives!! 🙂 Let me know how it goes. 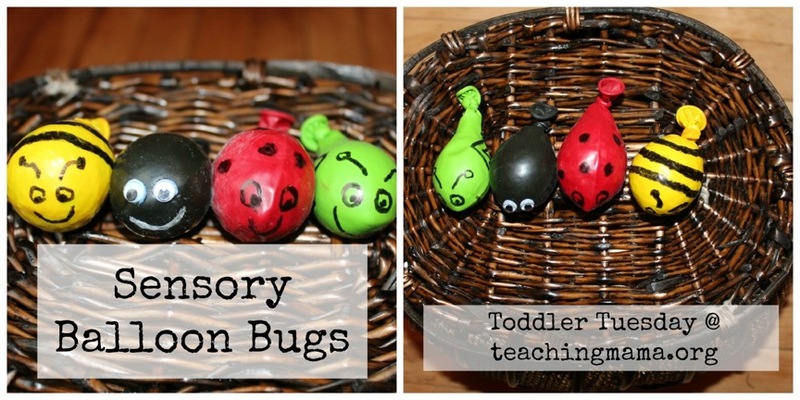 We did sensory balloons to talk about feelings, and I think your sensory bug are super cute! So awesome! They are great for talking about feelings. Thank you very much. Hi, what pens did you use to decorate the balloons with? Any pen I try seems to rub ofF on his skin. I’m sorry you’re having problems! I used a Sharpie. It did rub off a little bit. Maybe it was the brand of the balloon? Maybe try a puffy paint fabric pen? Good luck! How cute! 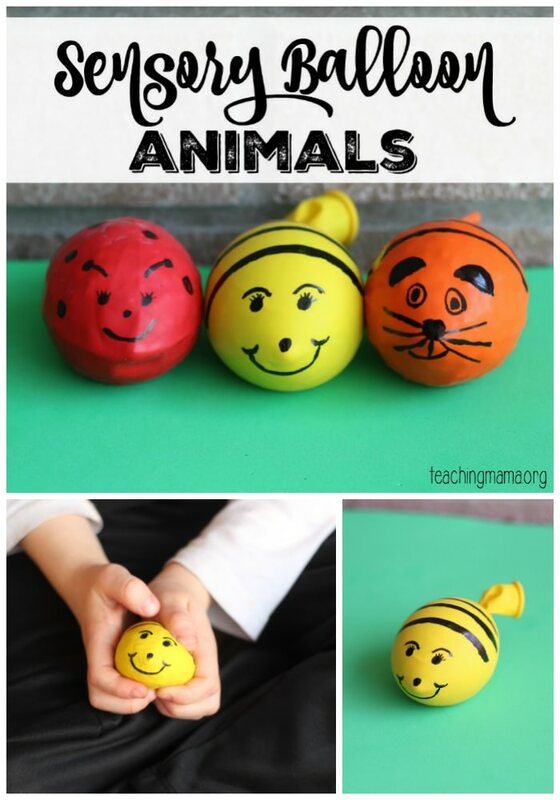 I wonder if my oldest son (8) would like to make one as a “stress” ball? I usually put a second balloon around the first one for stress balls for older kids and they don’t pop as easily. Seriously! Where do these ideas come from? I love this and my 3 year old LOVES balloons! How fun this would be! Thanks! It was fun for the kids. How do you get your little one to not eat them? My children put everything in their mouths! I was blessed to have boys who really didn’t put things in their mouths. Honestly, they really don’t put anything in their mouths, so I felt comfortable doing this with them. If they did, I wouldn’t try this with them until they were older. I also have a little one who puts everything in her mouth. She would love these, but I’m worried about her biting a hole in it. I had a thought though….what about putting a thin sock over the balloon? Sure that would be a good idea! It’s hard when they put everything in their mouths, isn’t it?! Is there a special paint you needed to use that won’t peel off the balloons once they dry? BTW, I just found your blog. Thank you! I’m a special ed teaching assistant and a church nursery volunteer. These are great ideas. I just made some sensory balloons for my 18 month old. I made hard ones (popcorn kernels, rice, confetti, rock salt) and soft ones (hair gel, hand soap, flour, shaving cream). That way as he gets older we can do a sorting game with them as well. 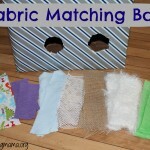 I just found your blog and have found many great ideas I want to do with my son! Wonderful!! I am sure your son loves them. Thank you for your kind words. I always have problems with the ink smearingon my balloons. What did you use? I used a black Sharpie (and a white paint pen on the black balloon) and let it dry before using them. However, I did notice that after a while, the ink started rubbing off, so I would just reapply it. Hope that helps! What materials did you use and suggest using to fill the balloons? Also, I LOVE this idea. Thank you for sharing. These are SOOOO cute. 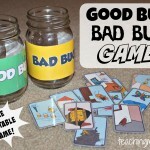 I think I am going to do a lesson using these with my Grade 3s. I am going to get them into groups, give them the balloons, funnels and materials and get THEM to fill and create the bugs. Then I will get them to do a survey (first to guess the type of material each one is filled with) and then do see which material they like to manipulate and play with the best. Thanks for this great and versatile idea. Will get back to you and let you know how it goes. Love that idea!! Can’t wait to hear how it goes!